5 of 5 stars Reviewed April 23, 2015 NEW By Natalie Groh. Definitely worth to be mentioned, too, is the food prepared by the chef George (ask for the crab!!!) - especially in the beginning and end the end we gave him a hard time with our limited supplies, but he managed to make sth. delicious out of basically nothing. We were a group of 8, and one toddler, and we loved Waterside Cliff villa! The grounds and the house was beautiful and like something out of a movie! It was surreal, with its lovely pool and the view of the sea from the verandah, especially in moonlight! Don't forget to check out the crazy awesome mini-pool built into the edge of the cliff! Sitting in that pool, looking out into the sea and hearing the waves crash into the rocks just beneath you is quite something! While the place itself was amazing, it was the attentiveness of the staff that made our experience out of this world! They catered to our every need. The excellent Peter who cooked all our meals to the rest of the staff who took care of us - Mildred, David and others... THANK YOU! From cooking us delicious meals everyday, doing our laundry, making the beds in the morning, readying them for the evening, accompanying the group for walks in the beach to scaring away an errant rhinoceros beetle that crept into one of the loos... nothing was too much trouble! We barely left the grounds! We did do a little shopping in town, but otherwise, we preferred to be indoors in our own space, just chilling and playing in the pool or in the clubhouse or just lounging in one of the living rooms with a good book. We were pampered beyond our imagination and had the BEST vacation ever! This place is amazing! It was way beyond our expectation in every way. This was my first time to africa, and first time to south coast. We found this place online, and with 8 people this was not only cheaper but way better than staying at a hotel. You get your own private swimming pool plus amazing private staffs! It is also not in a commercial area, with no one to harass you on the beach. Once I checked into the villa I did not leave for the next 4 days! My family did go into Diani for shopping and grocery, which is easy access. It is a beautifully designed, stunning villa that faces the ocean and has easy access to private beaches. It is on a huge private property with lots of amenities such as a bungalow with bar, lounge, and snooker table; garden and ponds; additional amazing pools right on the edge of the ocean. Best of all, It comes with full service! Grace lead the team and they gave us the best customer service we have experienced, ever. She is also an amazing cook and was our personal chef for our stay. Without Grace our experience would not have been the same. It truly feels like you are living a dream or in a movie. The rooms are amazing with open floor plan and you can see the ocean from each room. The rooms on the lower floor have jacuzzi tubs. We had additional friends and family who stayed at an adjacent villa. They were able to come visit and it did not feel crowded, everyone was hanging out comfortably in all the different areas and we had a blast! we got fresh seafood delivered everyday...we went snorkeling one day with a local guide...one morning I woke up and could see the silhouette of horses grazing in the front yard with the ocean beyond...It was surreal. We did not want to leave and will stay there again. This absolutely the most fabulous villa we have ever stayed and seen on our holiday! The booking with Exclusive Villas Diani was very easy and fast. They are very professional, reliable and we are very happy they have suggested this spectacular villa to us, THANK YOU! This incredible beachfront villa is located on the top of a cliff overlooking the Indian Ocean! Oooh man, what a holiday in Kenya! We could not wish for more! The entire villa is furnished with the famous Funzi furniture, incredible wood work! The villa is in shape of horse shoe, the surrounding is amazing, a large pool. All rooms are around the pool, its very large with beautiful lights and African decorations. 2 rooms are with own Jacuzzi! Fabulous! What a Holiday! The bathrooms are beautiful, very large and perfectly clean! You will be amazed wherever you look! Everywhere are comfortable sofas with many pillows to hang around, a very beautiful dining area right next to the pool and excellent staff! They brought us fresh fish and seafood right from the ocean and all the goods directly to villa! 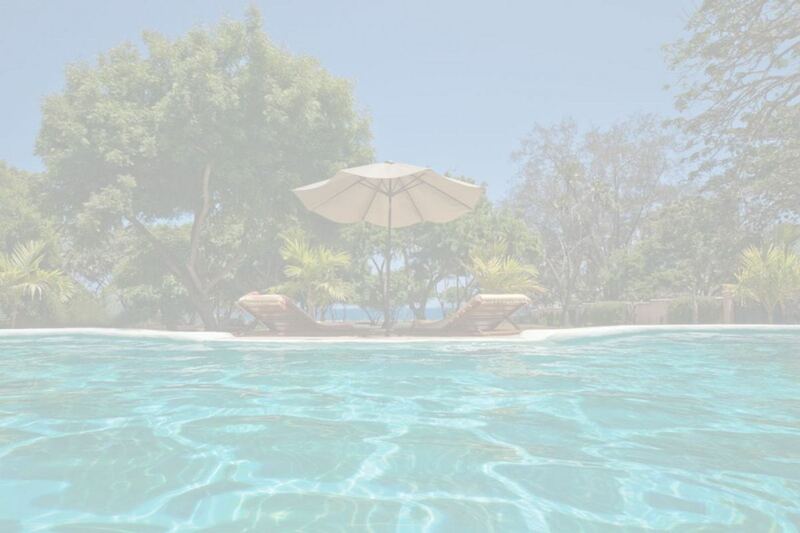 Thank you Villas Diani we\'ll book our holiday with you again! Together with 6 friends we rented an incredible Villa on the Kenyan Coast for a week in October. It was out of this world, with 3 staff, fresh seafood brought to the door each morning for us to choose from, a gorgeous pool, cliff top tub, stables, and a secluded little beach bay for all our oceanic requirements. Had a fantastic birthday celebration with loads of lobster and champagne, not to mention lemon meringue pie. Wish you had been there, you certainly could have fit! Fabulously relaxing break! Great accommodation, delicious food and great company! We really should have booked for longer! A beautiful and peaceful getaway! It is the best way to experience Mombasa away from the crowded beaches but still not too far from the necessary facilities. The staff are lovely and took care of us very well.